| Interview by Daniel Codella conducted on April 14, 2010. Performing at Wembley Stadium in London, the second largest stadium in Europe, is a dream of many bands throughout the world. For Gary Go, it's a dream that's already come true. Opening up for Take That, Gary Go played four shows at Wembley. To make things a little more interesting, Gary Go played an iPhone on stage as a musical instrument. 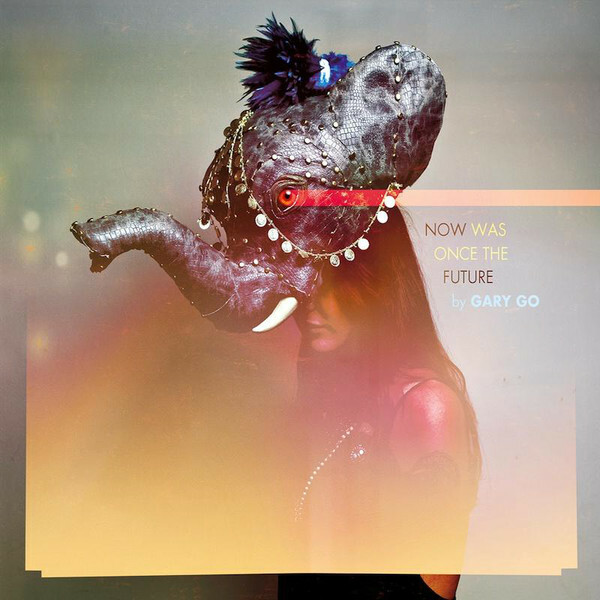 With catchy pop hooks and a forward thinking mindset, Gary Go is ready to cross the pond and take over America. Sonoma Wire Works called Gary to chat about his thoughts on the future of music and how FourTrack has helped him write music. I'm currently working on my second album which I'm very excited about. I'm trying to evolve, trying to continue the story my first album started. Could you tell us a little about the sound of your new album? Yes, I am trying to think outside of the box more, more organic, evolve more. I am using a lot more elements and sounds I didn't use on the first album. The first album was very band oriented, this album takes it further with extra sounds on top of that. Are you doing any collaborations on this record? There's a few in the works, but at the moment I'm just writing and getting ideas together. We found out a while back that you were using FourTrack. How did you hear about our app? I was just fishing around at the time for music apps on the iphone. People weren't really using it in music at the time. FourTrack seemed to be the only app of it's kind. That's what really got me into using the phone for music. I started demoing ideas on the road with FourTrack, really basic stuff, and then it went from there. Since FourTrack, many more apps have come out. We read that you were using the iPhone in your live performances, can you tell us more about that? I've been using lots of music apps live. I use many drum and beat apps live. I've also used different instrument apps live in shows. I use a finger app in some of my acoustic shows. Sometime's I'll run it through pedals and delays and it's something I want to continue experimenting with. The music industry is in a state of change, how do you think artists should adapt? The industry needs to adapt. We're at an interesting place now, artists can do anything by themselves now. A great idea can open up so many doors. What I love is that it's good ideas that build followings, not money. Ideas are free. A video with four treadmills can reach millions of people, because it's captured people's imaginations. It's so creative, and it forces people to be better. People are being forced to write better songs, be more creative. Major labels still have their place, but we are in a time of flux, and it's an incredibly exciting time. It's strange though, because everything that aids artists has also hurt them. The technology has become the cause and effect. Do you think FourTrack has helped your songwriting? Yeah definitely! Having an app like that not only helps me capture and idea, but realize them and arrange them in a simple way. It's definitely opened the gate, made me realize the potential of the phone. Do you plan to come to the US when your album is finished? Absolutely. I did a small tour in the US with Mika, which was a lot of fun, but I definitely want to do more shows. I'm dying to get back there to play shows and get my record out. Where can our users hear more of your music? I'd love for everyone to check out my site http://www.garygo.tv/, Myspace, Facebook, Twitter. I'm all over! Come and say hi! "FourTrack seemed to be the only app of it's kind. That's what really got me into using the phone for music. I started demoing ideas on the road with FourTrack, really basic stuff, and then it went from there. "